Queen Mary University of London is a Science and Medical research-led university based in London. They offer a wide range of courses in humanities, social sciences, science and engineering, medicine and dentistry. The 228 year old institution, originally made up of four prestigious colleges, was named the 11th best university in the UK out of 132. Initially relying on manual means of storing booking requests, Queen Mary University of London needed a modern, digital approach to governing the use of their resources. The university needed the ability to quickly and easily allow their students to check for - and book - available rooms and equipment themselves. 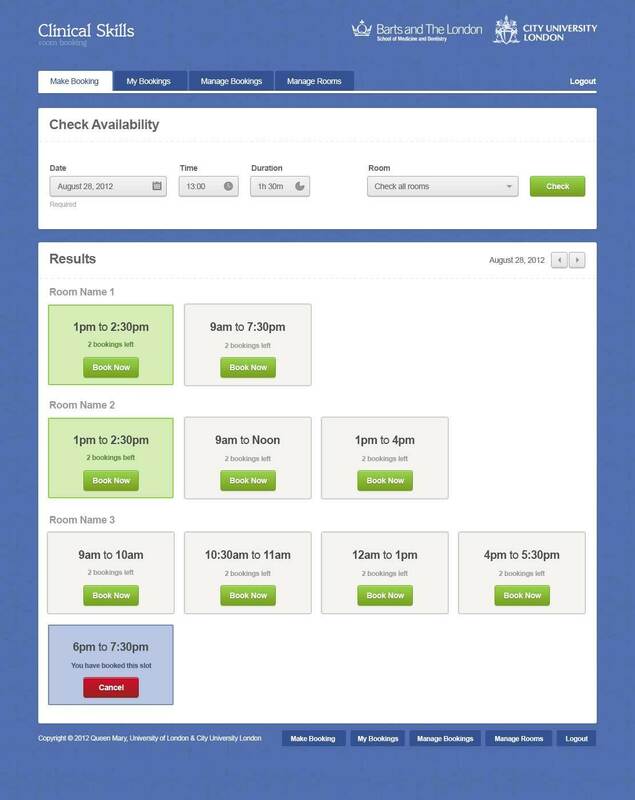 Using a very clear, intuitive interface booking a room now only take a few clicks with our bespoke-built web application. Our system allows students to log into the website with their university account and make bookings, select the equipment they require and the room they want. Because of this automation, not only is the web application a time-saving device for students, it's lead to greater efficiency within each university department. Other users, such as staff and admin, can log in and monitor the resources that are required - at a glance - for each booking. "If we have any issues or questions, Studio Mashbo get back to us very quickly, which is very important to us. You feel like things are being addressed quickly. They're very attentive. There's always an understanding of what we want and if there isn't, there's always lots of communication. We never have to wait a long time to get things moving. I'd say we have a very positive relationship, which is always open and honest. I hardly ever have to leave a message on Studio Mashbo's answerphone; I can always get hold of someone. I would certainly recommend them to another department or company, with no qualms."